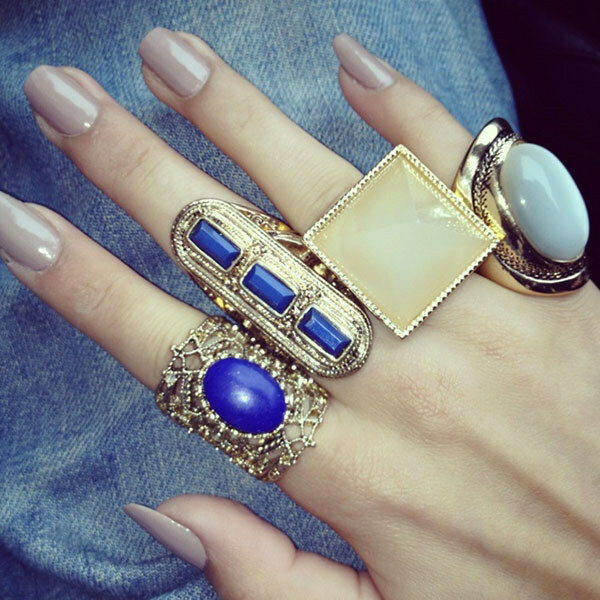 Divas, rings have been such a huge trend lately. 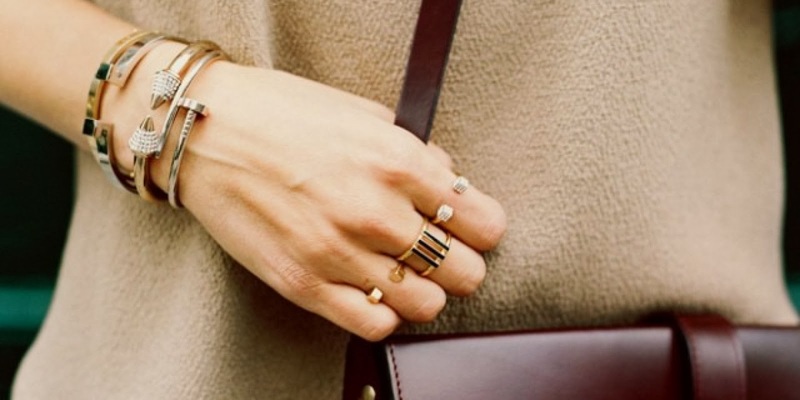 You can find them in tons of styles from super simple and dainty to intricate and chunky rings. 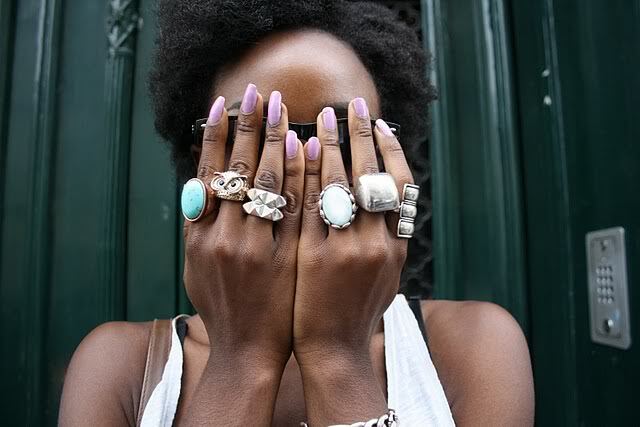 You can wear more than one, and it doesn’t matter where you place them on your fingers. There is something for everyone. You can also find styles with rhinestones and chains, in gold and silver, you name it. In this post I present you 15 Adorable Multiple Ring Combos. Get busy making different sets and combinations of colors. Forget every day ring wear and change things up by going bold, playing with layering and upscaling your gems. We look at our fingers a lot, so why don’t you make them look interesting? Browse through the photos below and find your ringspiraion. 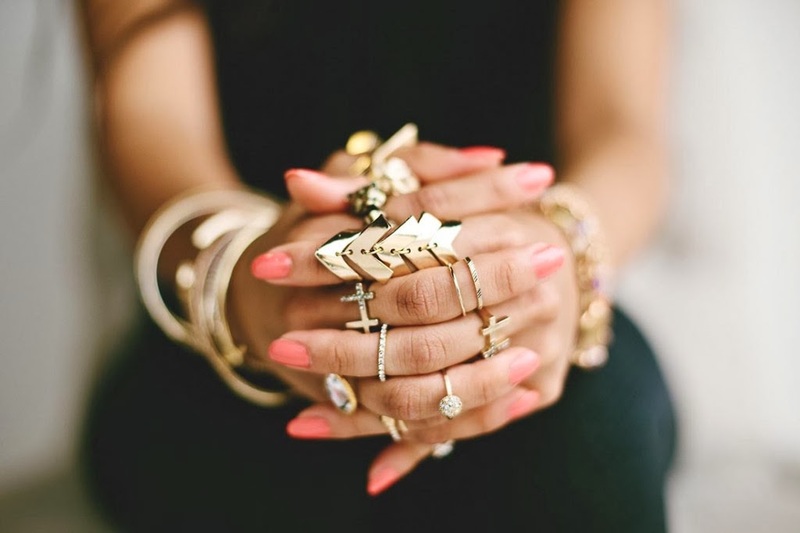 Divas, make sure your hand jewelry is saying something gorgeous and wear them with style. 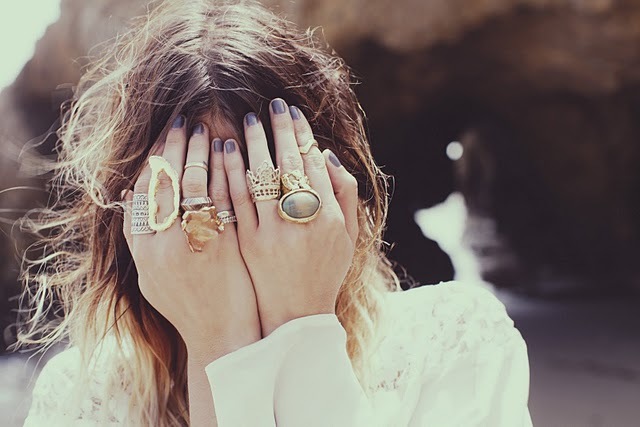 Rings are sure to become a must-have fashion accessory. I’m sure that these pretty jewels will become your obsession. Enjoy!! !